This project was a simple exercise in juxtaposition and restraint. 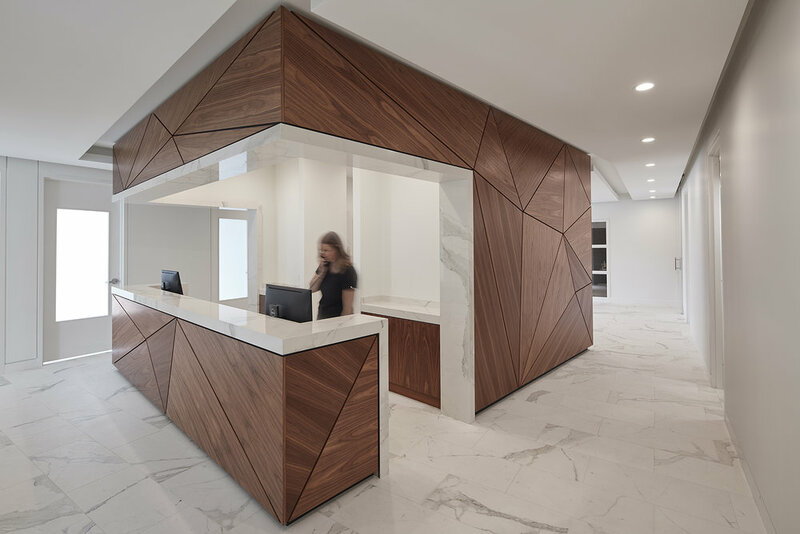 A central, rotated cube was staged in the center of the space – a figure of faceted walnut in a field of white. Housing reception and all key operational functions of the office, the cube acts as a visual key in the space and an object of orientation. Patients and staff navigate around it as they enter, receive treatment and exit the space.